10 NYSSMA VOCAL TIPs That will get you that HIGH SCORE! PLUS FESTIVAL DAY LIST! Sore Throat Remedies for Singers, and Everybody Else. Chantel Martin-Nominated TWICE for LEADS! Home > Music Lessons > Sore Throat Remedies for Singers, and Everybody Else. 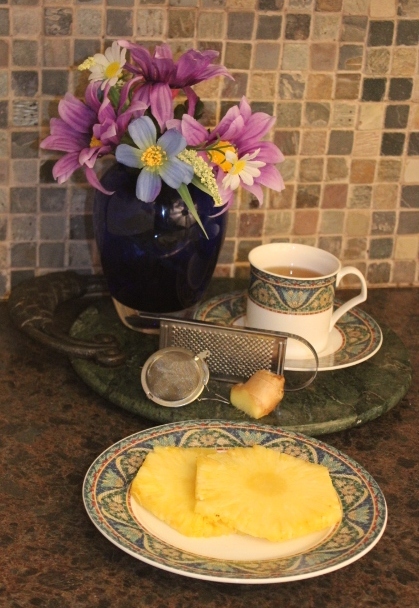 Fresh pineapple contains enzyme Bromelain. 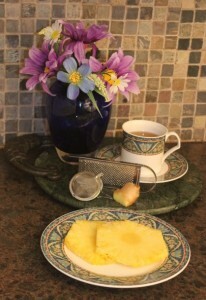 Bromelain is a natural anti-inflammatory with analgesic properties. It reduces swelling, tenderness and pain when ingested. It also is packed with vitamin C. It also can relieve indigestion. If you have a sore throat from a cold, it is often accompanied by a nasal drip, which can make your throat quite acidy. Pineapple also has significant amounts of Manganese, a trace mineral that participates in many enzyme systems in the body. I eat fresh pineapple every day. It works wonders on arthritis and nerve pain as well. The second remedy is Ginger Tea. Get some fresh ginger root from readily found in most food markets. There are several ways you can cut it up. You can use a small cheese shredder and put it right in the hot tea water. You can also use a potato peeler or just slice it thin and put the root cuttings in a tea ball or you can put it in a coffee filter with a rubber band around it and let it seep for 5 minutes. Add the ACV and honey. Stir. Enjoy. The ginger root is known to be an anti-inflammatory and because of the slightly pungent taste of it triggers the release of secretions that help clear congestion. It is suspected ginger root has some antimicrobial properties. Apple Cider Vinegar is acidic and decreases the PH of tissue, which helps prevent bacteria from growing one the surface, killing germs. It also has a probiotic called inulin, which increase white blood cells and T cells, therefore boost your immune system. Finally, HONEY!!! Besides the sweetness of it, clinical studies have shown honey is a very effective antibacterial. (http://www.ncbi.nlm.nih.gov/pubmed/9625243) It also lends viscosity to the water which is quite soothing to the throat. If you can get local honey, that is even better. Many singers have allergy issues, and taking a teaspoon of local honey every day can help your body build immunity to the local plants. I take it and after a year, a noticed a substantial difference in my seasonal allergies. Honey also acts as an appetite suppressant-a bonus side effect. February 9, 2016 Admin Comments Off on 10 NYSSMA VOCAL TIPs That will get you that HIGH SCORE! PLUS FESTIVAL DAY LIST!